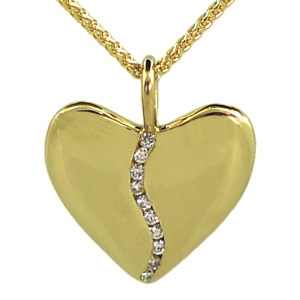 Gold Harmony Heart with 10 Diamonds (Small): 18k Gold Jewelry Celebrates 10 Years of Marriage! Ten diamonds are at the core of this unique gold pendant, adding sparkle to the symbolism! 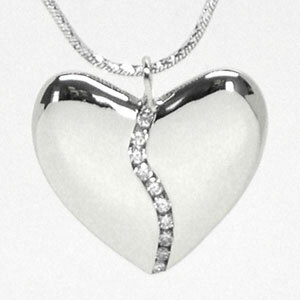 Both meaningful and beautiful, this Harmony Heart pendant is 1/2" wide. It's available in 18k Yellow or 18k White gold. Each comes with a matching 14k gold chain.